Ruta del Vino is a Latin American wine bar and restaurant located at 800 Upshur Street NW in the Petworth neighborhood of Washington, DC. We feature roughly 18 wines by the glass and roughly 10 wines by the bottle, all from Latin America. Our cuisine draws from across Latin America, including Mexico, Peru, Argentina, Uruguay, Brazil, and elsewhere. Our cocktails all feature Latin American base spirits, including rum, cachaça, mezcal, tequila, pisco, singani, and others. Our food features meats, sausage, and fish cooked over a wood-fired grill, as well as a full menu of seafood, sandwiches, appetizers and desserts. #NoSmallPlates. Ruta is owned by wife-and-husband team Jessica and Justin Logan, and Michelle Rodriguez, all Petworth residents. Jessica, originally from Mexico, and Justin conceived of the idea as great fans of Latin American wines; in particular, they saw the revolution that was underway in winemaking in Latin America, and the values that the region’s wines offer. 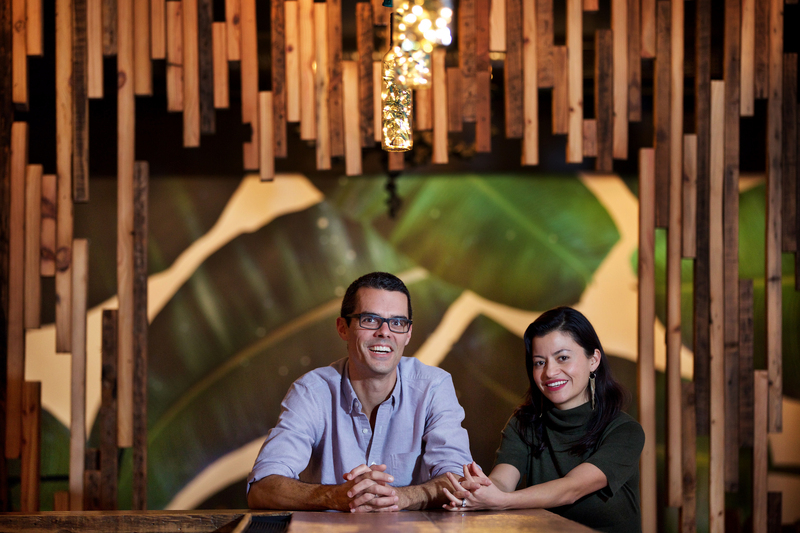 Believing that there was no destination for great Latin American food or for wine in Petworth, they joined with their friend Michelle Rodriguez to open Ruta. They aim to bring attention to under-appreciated grapes, regions, and styles of wine, of course from Chile and Argentina, but also from Bolivia, Brazil, Mexico, Uruguay, and other countries that are now producing high quality wines. 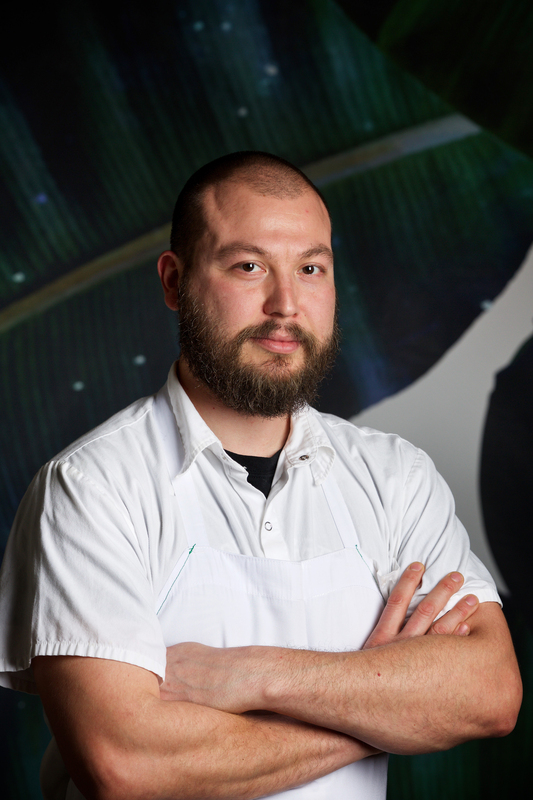 Ruta’s executive chef is Victor Meneses. Chef Meneses began his career in his hometown of Albuquerque, NM, helping his father prepare authentic Mexican street food for his camión (food truck). At fourteen, Victor began working as a dishwasher and prep cook for a local New Mexican Restaurant. Soon, he landed a job at the northern Italian restaurant Scalo and trained under award-winning chef Jonathan Perno, working his way through every station in the restaurant, honing his skills and technique and expanding his knowledge of Italian cuisine. A few years later, Victor moved to the Washington, DC area to attend L’Academie de Cuisine. While in school, he worked for the late culinary legend Michel Richard at Citronelle and learned the importance of building flavors and refining technique. Victor completed his culinary externship at Equinox, known for imaginative, seasonal, regional American cuisine. After that, he worked for Chef Tony Chittum at Notti Bianche. Soon, Victor was promoted to sous chef, then to executive sous chef. Over the next few years, he continued to learn from the best chefs in the area, working with Drew Trautmann of Sonoma on Capitol Hill, Jeff Black of Black’s Bar & Kitchen in Bethesda, and Ethan McKee of Circle Bistro. In 2009, Victor relocated to South Florida, where he was executive chef for one of south Florida’s best Mexican restaurants, El Camino, which was voted one of the top 100 restaurants in the country two years in a row by OpenTable. Victor allows nature to dictate his menu, mixing the subtle with the unexpected, avoiding trends in favor of elegance and timelessness. Freshness, simplicity and depth of flavor are his trademarks, and he strives to execute every dish with care and attention. At Ruta del Vino, Chef Meneses has designed a menu covering a broad array of Latin American cuisines that pair with the wide variety of wines from across Latin America.